Taking your sweet tooth all the way to Paris might be a bit ambitious, but you can bring home a taste of the City Of Love with the hand-painted macarons, courtesy Crumb Affair. Haven’t we all fantasised about biting into perfect macarons, those delectable French desserts that we often see on Insta and in movies? 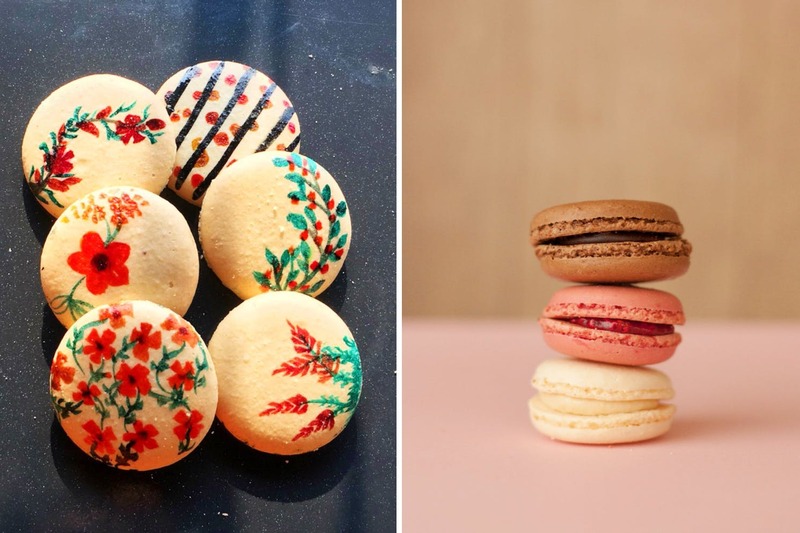 Home bakers Radhika Binani and Shreesti Agarwal will fulfil those wishes with the hand-painted macarons they dish out from their bakery, Crumb Affair. They use edible food paint with almond extract or water to paint the macaron shells. And it definitely adds a whole lotta wow factor! From basic colour splatters to colourful floral designs and even cartoon characters, you can choose from a number of designs. Choose your design, flavour and colour and you have something to gift for special occasions. They have kept the prices as minimal as possible – from INR 80 to INR 100, depending upon the flavour (which includes Belgium dark chocolate, salted caramel, Nutella, vanilla, blueberry and cream cheese, and more) and the intricacy of the design you opt for. Check out their FB page for more.